This seven month old has the most adorable personality and simply radiates pure joy. You are such a blessing, sweet little sunshine girl. Both Mother and Baby’s clothing provided by Studio Wardrobe. 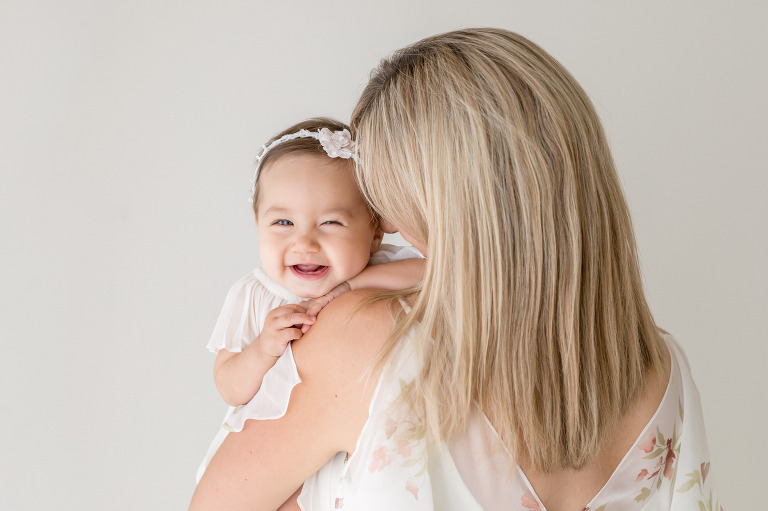 If you are interested in reserving a simple and timeless mother and baby simplicity session in the studio, please contact me so we can start planning our session together. 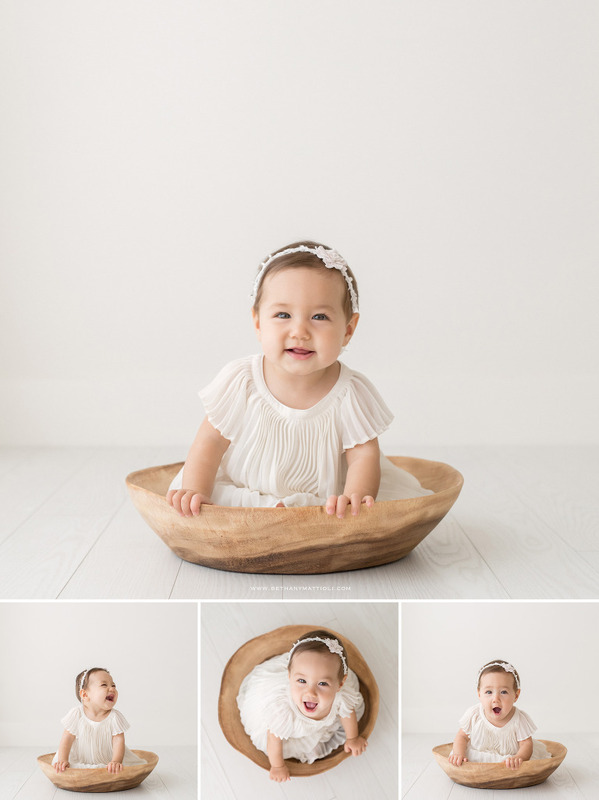 Bethany Mattioli is a Bay Area Baby Photographer in Morgan Hill specializing in simple, timeless and natural baby photography. The simple all white natural light photography studio in Morgan Hill serves clients from San Jose, Gilroy, Santa Clara, Sunnyvale, Mountain View, Cupertino, Saratoga, Los Gatos, Willow Glen and the greater San Francisco Bay Area.